Automotive fabrics are used to enhance the safety and interiors of the vehicles. They possess properties such as resistance to cold cracking and UV rays. Moreover, they are easy to clean and help in minimizing the fatigue. Automotive fabric such as headlining, truck lining, and spray adhesive are used to repair or replace the spoiled interior surfaces. The global automotive fabric market is dynamic in nature, and is expected to witness considerable growth during the forecast period. The global automotive fabric market encompasses fabric type, vehicle type and application segment of the automotive fabric market. The development of new and diversified technologies creates opportunities within the automotive industry. The automotive fabric market is analyzed and estimated in accordance with the impacts of the drivers, restraints, and opportunities. The period studied in this report is from 2018 to 2025. 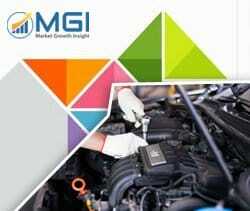 The global automotive fabric market is segmented based on fabric type, application, vehicle type, and region. Depending on fabric type, the market is fragmented into polyester, vinyl, leather, nylon, and others. By application, it is classified into carpets, upholstery, preassembled interior components, tires, safety belts, airbags, and others. On the basis of vehicle type, it is bifurcated into passenger car and commercial vehicles. Region wise, it is analyzed across North America, Europe, Asia-Pacific, and LAMEA. The key players analyzed in the automotive fabric market include SRF Limited, Lear Corporation, Acme Mills Company, Suminoe Textile Co. Ltd., Adient Plc, Heathcoat Fabrics Limited, Seiren Co., Ltd., Toyota Boshoku Corporation, Martur Automotive Seating System, and Grupo Antolin Irausa, S.A. This study presents the analytical depiction of the global automotive fabric market along with the current trends and future estimations to depict the imminent investment pockets. 3.5.3.2. Growing demand of low weight automotive fabric to reduce vehicle pollution. 8.3. Grupo Antolin Irausa, S.A.
8.8. Suminoe Textile Co., Ltd.